During December 2009, Fang and I took a roadtrip to Tasmania leaving Adelaide on the 13th and returning back on the 30th. Going outbound, we drove from Adelaide to Melbourne via the Coorong and the Great Ocean Road. 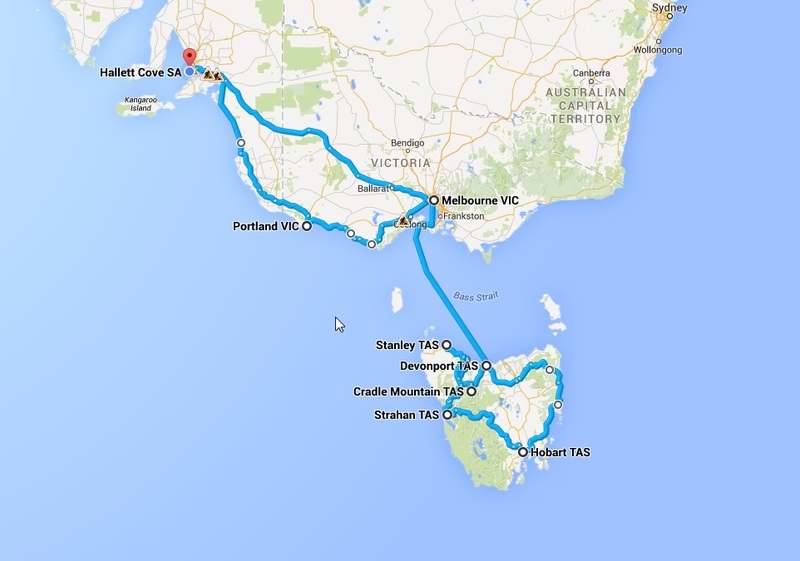 We then took the ferry from Melbourne to Tasmania and drove around the island starting from Devonport going around counterclockwise to Stanley to Strahan to Hobart and returning up the northeast coast back to Devonport. From Melbourne, we drove back the direct way back to Adelaide via Horsham. Tasmania is a stunning little island often missed out on those from the other side of the world visiting Australia.